Dr. David Soriano received a Ph. D. on Nanoscience and Nanotechnology in 2011 under the supervision of Prof. Juan José Palacios in the University of Alicante (Spain). The same year, he joined the group of Prof. Stephan Roche in the Catalan Institute of Nanoscience and Nanotechnology (ICN2) as a postdoctoral researcher. 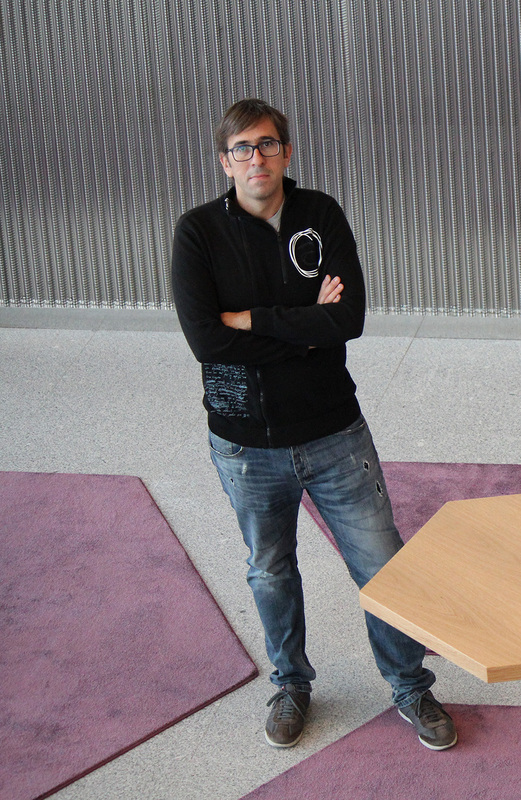 After 5 years at ICN2, he recently moved to the International Iberian Nanotechnology Laboratory (INL) as a postdoctoral research fellow to start a new project in the group of Prof. Joaquín Fernández Rossier within the NanoTRAINforGrowth II programme. During his career, Dr. David Soriano has focused his research on the electronic and topological properties of low-dimensional materials: graphene, transition metal dichalcogenides, topological insulators, etc. His research has led to very important publications in peer review journals: 1 Nature Physics, 3 Physical Review Letters and 2 2D Materials, and 1 book chapter. Within the NanoTRAINforGrowth II prgramme, Dr. David Soriano is involved on the study of defects in 2D materials, such as vacancies in hexagonal Boron Nitride (hBN) layers, as potential sources of single photon emitters (SPE). More specifically, a defect in a wide band gap semiconductor behaves as an isolated atom or quantum dot with discrete energy levels appearing inside the gap. The optical transitions of electrons between these energy levels are within the visible light range and are sensitive to the magnetic state of the defect (similar to the NV centers in diamond). The understanding and perfect characterization of defects in 2D materials are key for further application of these materials in Quantum Technologies. The recent discovery of two-dimensional ferromagnetic materials (CrI3 and Cr2Ge2Te6), in which the Theory of Quantum Nanosctructures (TQN) group has been strongly involved [J. L. Lado and J. Fernández-Rossier 2017 2D Mater. 4 035002], has opened new venues for the implementation of magnetic devices at the nanoscale. As a member of the TQN group, I am participating in several projects related to the optical and electrical detection of ferromagnetism in this type of materials. Regarding optical detection, we have found that vanadium diselenide (VSe2), a 2D ferromagnetic crystal with an atomic structure very similar to MoS2, is able to induce a strong valley splitting in transition metal dichalcogenides by proximity effect. Valley splitting is a fingerprint of ferromagnetism and can be detected by photoluminescence. The splitting found in recent experiments with CrI3/WSe2 heterostructures are of the order of 3.5 meV. Our calculations demonstrate a valley splitting of the order of 10 meV when substituting CrI3 by VSe2 in these heterostructures, the higher value reported so far. On the other hand, the TQN group is collaborating with an experimental group at MIT to better understand the mechanism governing spin transport in Graphene/CrI3 heterostructures. The impact of the ferromagnetic layer on the transport properties (or conductivity) of graphene is an important problem to address in order to elucidate new techniques leading to the electrical detection of 2D ferromagnetic crystals. I have already presented these advances in two international conferences: Ab-initio spin orbitronics in Pescara (Italy) and 2D Materials and Interfaces for Spintronics in Barcelona (Spain). In the second one, I participated as an invited speaker and I had the opportunity to show my work to a broad audience working in 2D materials. Since the aim of this conference was to increase the collaboration between research centers in Spain and Taiwan, I also took the opportunity to introduce INL and start some collaborations with researchers in Taiwan.